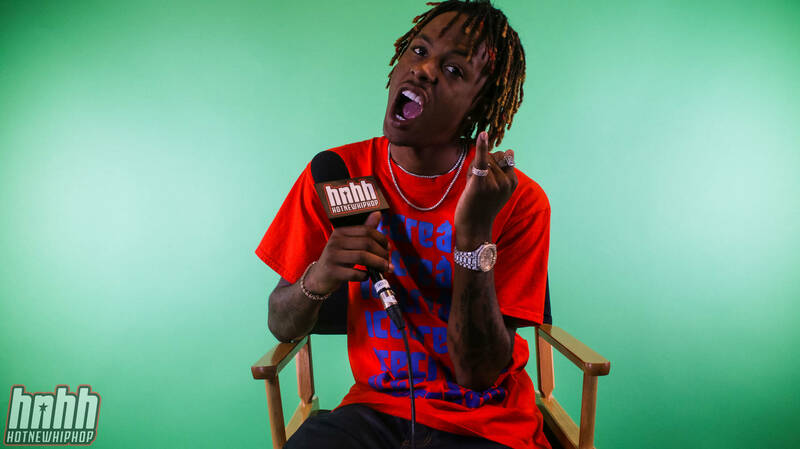 Rich The Kid has commenced the rollout to his upcoming album The World Is Yours 2, a sequel to last year's debut. Though not acclaimed with unanimous praise, many felt that Rich's first album was a solid effort across the board, and a welcome glimpse into whatever potential the young Atlanta rapper might come to have. Now, part two is set to arrive on January 18th, and Rich has taken to Twitter to unveil the project's album cover. Off the bat, it's clear that Rich is feeling a different sense of energy this time around. While the first chapter boasted a lively, eighties-inspired color palette, this one finds Rich on a more villainous tip. Donning the all-black attire, Rich trades in the money-stack for a shiny representation for "the world," thus completing the metaphor. One has to wonder whether the visual shift will be mirrored by the album's sonic aesthetic, which is entirely possible; single "Splashin" is certainly qualified as a "dark banger," and it would be cool to see Rich operating in that particular realm for the long haul. Are you excited for this one? 50 Cent Trolls R. Kelly: "Got B*tches Somewhere Sh*tting In Buckets"